LinkedIn’s job board includes a nicely designed layout, good keyword search tool and a wide variety of advertised jobs. Also being able to message directly through InMail makes the process a bit more personable. I’ve sometimes found that jobs can be out of date, and be aware of the scams, but useful on the whole. Sends out a mailing list of both paid and volunteer roles. I’ve had an interview through this and seen some interesting roles, so worth a shot. These companies and organisations will usually sort out your visa and flights once they’ve offered you a contract. For those of you who are looking for jobs they can do remotely, although they seem to be targeted at US professionals. Still worth a look. Fiverr has great blog community resources and engagement, and I find this a user-friendly remote work portal, especially for creatives. Pay a (tiny) annual fee and find free lodging – even sometimes a room of your own – anywhere in the world in exchange for your skills. Be careful with this one. I’ve attended a course at a fairly reputable TEFL school in London and even there, students were caught out in at least one scam job advert. Schools ask for passport details in their adverts – a standard practice in the industry and, in my opinion, a bad one. It’s a way for schools to test early on the validity of the jobseeker. But how many passports have been scammed this way? In addition, any requests for PayPal payments from recruiters are a huge red flag. So, take the course and apply for TEFL jobs, but do your own very careful due diligence, as one should with any international job. There are two options: online volunteers who find remote work to which they can lend their time and skills not only to UN agencies, but to a wide range of local and community NGOs and charities. Then there are the field UN Volunteers: after registering your profile you may be approached by the UNV office in Bonn for relevant field assignments to serve with a UN office (following a written test or/and interview). Two years worth of work experience are required for the field volunteers, who are not paid a salary, but rather a decent enough living expense. Note that you can’t do any other paid work alongside the volunteer role, including freelancing. Both online and field UNV opportunities are valuable volunteering experiences in themselves, and worth considering to determine whether a UN career is really what you want. Also, guard against turning into a serial UN volunteer, unless that’s what you want. Along with volunteering, this is a valid foot in the door option for the United Nations or any organisation/company. If you can find a reasonably paid internship even better. But I wouldn’t recommend anyone doing these stints for much longer than a year at the start of your career – three months if it is unpaid. For a start, you are trying to build your cash reserves to travel, as well as your professional experience. And these kinds of work can turn into a kind of exploitation. So, enjoy these experiences for a while, and know when to move on. Dry, hot city. Wafts of diesel and food combined hang heavy in the air. Cars, motorbikes, rickshaws pile noisily back to back in densely congested roads. Street hawkers weave expertly through traffics of people and vehicles, whilst children scurry among the crowds, clutching goods for sale instead of school satchels. Welcome to Dhaka, Bangladesh. Back with UNICEF for six months, this time in Dhaka. 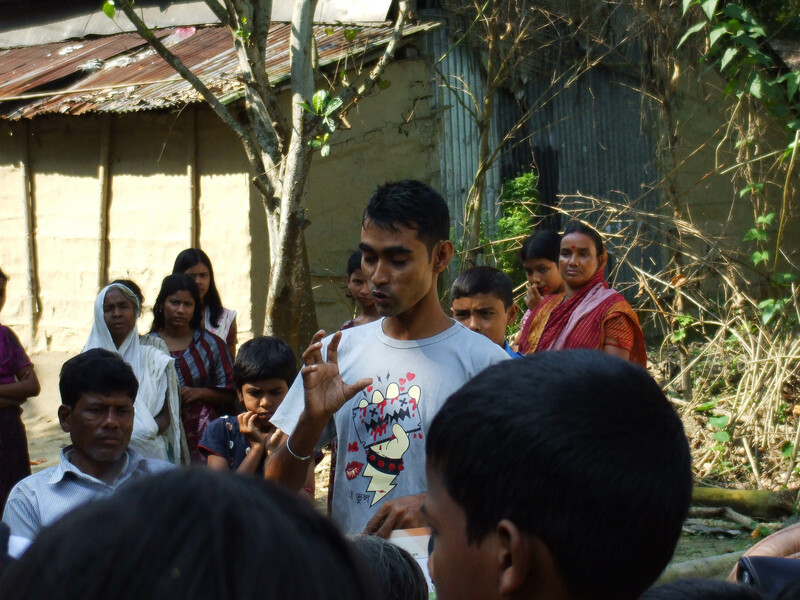 Lots of writing, lots of getting out to meet partners from international and local NGOs (such as the impressive BRAC), as well as talking to Bangladeshis inside their homes and work places about their lives and experiences with UNICEF supported projects. I also spent a chunk of time visiting schools, including one where I had to give an impromptu ‘inspirational’ speech to the children at their prize-giving ceremony. They were very gracious – I felt like a UNICEF Representative for all of my two hour visit there! I also got to work with a strong, hardworking and fun communications team at UNICEF Bangladesh. Click here for one of the newsletters we produced.